So, I’m panicking. And, that statement… in and of itself, does a pretty accurate job of summing up my whole life story. Well, go ahead and add “walking contradiction” and you’ve got the whole picture. Except, that it isn’t (do you get the whole “walking contradiction” part now?). Growing up as a first-generation “American”, I have constantly, grudgingly, followed the pressure of quickly picking a path, getting the appropriate education, and doing it. So, for years, I had decided–much to my family’s dismay–that I would study International Relations and be a Foreign Service Officer and eventually, become the next Secretary of State (AKA – I’m a wannabe Hillary Clinton). And then, it happened. My life was ruined by Dr. Nandi and her Sociology of Gangs class. I fell in love with the world of sociology and, in turn, it’s ambiguity in specific job prospects. And then, it happened again. “My life got flipped-turned upside down.” (Fresh Prince of Bel-Air, anyone?) I spent these last two semesters studying abroad in South Africa and fell in love with traveling and immersing myself in a different culture. I fell in love with listening to people’s stories. I fell in love with putting myself in uncomfortable situations and experiencing something… new. So, once again, I’m currently in a state of panic because I no longer have the same aspirations I had my entire life. Aaaaand, as much as it pains me to say this… That’s okay. I’m okay. I’m a fourth year student staying for a fifth year, double-majoring, and getting a TESOL certificate. I’m not entirely sure if I’ll end up in Japan teaching English or if I’ll beg some non-profit organization to hire me as a professional protester (seriously, is that a thing?). I’m taking my first upper division English class, surrounded by eloquent speakers and amazing writers, but that’s okay. I’m much more comfortable being surrounded by my fellow pretentious polysci / sociology peers debating controversial issues and discussing abstract ideas, but that’s okay. Long story short: I’m still panicking… but bear with me. As for “fun” stuff? I sing, albeit terribly, all the time, I’m obsessed with hot cheetos, I spend an embarrassing amount of time thinking about which fictional universe I would most succeed in–Star Wars, The Hunger Games, Harry Potter, etc., and I love to write to inmates in my spare time. So, yet another reason to panic (this may be an overreaction). When I first heard we would have to trace our literacies, I immediately planned to go to the library after class to rent a book so that I could claim that I read in my free time. Because, in my ignorant mind (2 classes ago), literacies meant the traditional book you read or academic writing. Which, is funny, because isn’t that the point of the article? That, when we use the term “literacies” we make it seem so unattainable and therefore, close its doors or accessibility to people who aren’t scholars of literature. So, this activity really helped me interact with the points of Szwed’s article. But back to my own literacies, I didn’t end up going to check out a book at the library because I then remembered I have about 6 books sitting on my desk that I have yet to sift through–also, I’m a part of a book club… I should really catch up on that reading. On a typical day, however, I answer an insane amount of messages–mostly from my sorority sisters since it seems I somehow have the answer to everything, an occasional chain message from my 12-year old sister, and various game invites from friends who live in different towns. I also do the occasional, AKA most of my time, goes to pointless, brain damaging scrolls through endless feeds on Facebook, Instagram, SnapChat, and my multiple G-Mail accounts. However, isn’t it interesting I claim that to be a source of brain damage and yet, here I am recognizing that it is in fact a literacy, despite, as Szwed points out, our narrow categorization of literacies (another point for walking contradiction!). On Facebook, however, I am exposed to a ridiculous amount of links to articles about our current political atmosphere and international events–which speaks more about the kind of people I surround myself with than anything–and I do actually end up reading the majority of said articles. Then, around the same time every day, as I’m sitting on my couch eating the typical rice bowl or fish dish, I write in my Q&A a Day journal. In this, I respond to a simple question each day and continue this trend for 5 years, which allows me to look back on how my responses have changed and how I’ve progressed in my life (I actually highly recommend it). As mentioned before, I like to write at least one letter a day to my inmate pen pals and attempt to catch up on my book for book club: Memoria Del Silencio. And, if I’m feeling extra artsy, I’ll catch up on my scrapbooking, which usually includes writing what I think are witty captions and slogans. AND, arguably the most important, my academic reading. This week I noticed my reading wasn’t as intense as usual as it was everyone’s favorite two words: syllabus week. However, I did spend about 2.5 hours each day reading for the 7 classes I’m enrolled in. One last thing that I hesitated to mention was my recent obsession podcasts, and of course, the political/economic/sociological ones. And while listening to podcasts may not be considered a literacy (or is it? ), the time I invest in reading and sometimes responding to comments and or tagging people in them is insane. The more and more I continue to think about the term “literacy” and how we’re all guilty of having such a narrow definition of it, it’s hard to imagine a second in my life when I’m not interacting with various literacies. It’s there when I’m driving down the street and stopping at the STOP sign or reading the speed limit. It’s there when I’m journaling or attempting to do spoken word. It’s there when I send my little sister a “Hey” with a cute little mushroom emoji. It’s there when I’m reading the microwave instructions for heating up my beloved pizza rolls. It’s innate. It’s everywhere. And yet, we have this assumption that it’s only accessible by academic scholars. And guess what? We created and socialized it to be that way. Something that really stood out to me was this idea of “functional literacy.” Is that even a thing? Functionality is such a fluid concept and differs from person to person. 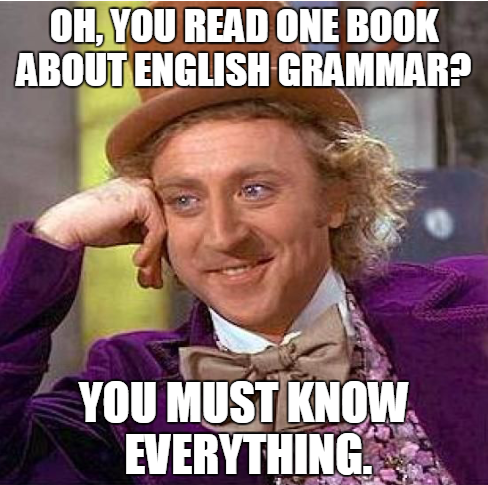 Who’s to dictate a “correct” type of literacy for anyone? That just perpetuates the stigma of pretentious literacy. A student may not be as enthusiastic or engaged in reading Hamlet, but, as Szwed points out, could be a kickass programmer. Who’s to say that isn’t their form of functional literacy? Who’s to say that skill isn’t significant role in that person’s life? By trying to define such a fluid concept, we are forever expanding that gap between those who have a medieval definition of literacy and those who engage in a diverse array of literacies. I personally can relate to this as I believed I would have nothing to talk about in this blog post because I don’t spend my whole day reading Lord of the Flies at the Naked Lounge. But, as this activity made me realize, I engage in my own literacies that are important to me and I identify with–which is awesome, because it brings more of a “humanistic” (?) quality to the already intimidating world of literacies. Perhaps this is the sociology coming out, but I hope for the sake of the future of accessible education, we can move toward different ways of conceptualizing literacies and how we assess them, as well as creating a culturally empathetic classroom–especially in regards to balancing the positive qualities of TESOL and the underlying privilege of teaching English as the main means to get ahead in society. *P.S. – David, (well, and I guess anyone else reading this so… Hi Kim! ), I’m sorry I’m the worst and published my blog post a bit later than expected. Read the first sentence and remember that I’m 100% the Type A personality and probably put way too much thought into this. I’ll get better. Kassandra! I enjoyed reading this so much that I was reading portions of it out loud to my spouse this morning, saying things like “omg, my 431 class has the most amazing people!” Love hearing about the academic journey and your openness to new ideas, cultures, pathways. What a journey you’ve had already. I really appreciated this: “That, when we use the term ‘literacies’ we make it seem so unattainable and therefore, close its doors or accessibility to people who aren’t scholars of literature.” I was saying yaaasssss as I was reading. Why do we do that to people? Make them feel like they’re outsiders? Who gets to decide what counts and literacy and whose literacy counts? Thank you for noticing how so much of what we count as literacy is socially constructed (your sociology insights will serve you well here…Bury your feelings deep down, Kassandra. They do you credit, but they could be made to serve the Emperor—sorry, couldn’t help the obvious Star Wars reference). Like you, I am deeply committed to a world where differences are celebrated, where language is seen as a living thing that changes over time, and where people’s literacies are seen as assets, not something to fix. Great having you in class! Here’s a link to my English 332 course (Intro to Literacy Studies): http://kimjaxon.com/engl332 You might poke around in the calendar, which has links to readings. But honestly, you will do awesome in this class by just jumping in like you already have. First I would like to say Kassandra that you are fine, and if being terrified or anxious is any indicator of how badly we want to perform well in this class then maybe we are starting off on the right foot? You’ve offered a wealth of thought here, and raised a number of questions that I too think should be raised as we begin to explore literacy both for ourselves and as a class. This sentiment resonates with me on a personal level. As being someone who was both in AP classes and high school, and being subjected to drug sniffing dogs rolling through my history classes unannounced about twice a week in my regular classes I saw the difference between how AP and honors students were treated, and how “regular” kids were treated. In my AP classes we were holding college level class discussions where our opinions were being treated as valuable commodities that needed constant expression to be honed overtime into a resource that could potentially benefit society. In my regular classes 60 to 80% of our prof’s time was devoted to taking role and policing our behaviors. I could literally feel the difference between the two atmospheres… and in my regular classes it was hard not to let that frustration of being regarded as at least half a criminal already get to you. People acted out in those classes, and when they did they reinforced some of those prof’s negative biases against an entire class of people who’s defining characteristic, in my opinion, was socioeconomic class (usually quite poor) and systematic neglect with regards to the education we were receiving in K-12 which was geared more towards securing funding for the district than it was towards figuring out how to supply us “regular” kids with an education that was going to prepare us for any kind of life outside of service level jobs and jail. (Sorry if I sound a little bitter… but they are still perpetrating this BS down there, and it makes me angry because some of the kids that get labeled as “bad, dumb, or mediocre” come to believe that it’s true… and those labels are a reflection of the society that forcing them to believe that mess, and not the individual who’s been undermined from maybe day one (maybe even before then if their parents are struggling with low self-esteem because of the societal context too, you know). My cousin Tati ended up in juvie because her school labeled her as a “bad kid,” and she believed it herself for a time, and it is an area in our world that deeply upsets me, and part of it has to do with how we define literacy and use that as a means to separate people into classes that are actually insanely hard to transcend once you’re stuck in there. I wanna leave you with a quote from Jose Marti that comes from a class called Latino Lit. at Butte college. Marti is every bit the mad philosopher that Emerson and Thoreau is, and unlike them he arguably walked the walk better than those two ever did. What I like in this quote is Marti’s notion of his people beginning, not only to make their own wine out of their own fruits that might be vastly different than what Europe is producing, he’s talking about taking a step away from that and celebrating it; elevating our people’s own wine (a metaphor for culture, art, food, literatures, etc.) to a space and position in society where we can have pride in it and say, “hey our culture is just as good as yours, so lets celebrate all of it.” And I feel like that speaks to what you are saying about expanding our relationship with the concept of literacy to take into account other backgrounds and other values that may not be exactly what our mainstream culture has posited as good.